We are proud to announce "Let's Kick Shell!" 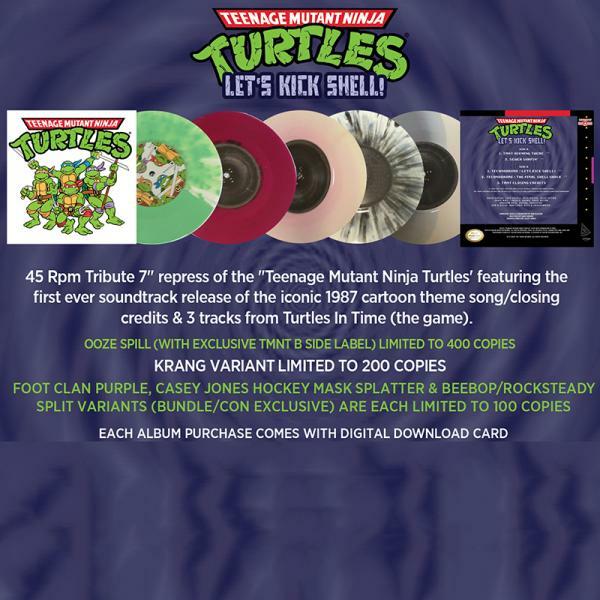 which is an officially licensed 7" Tribute album by the "Teenage Mutant Ninja Turtles". 1) Technodrome: Lets Kick Shell! Teenage Mutant Ninja Turtles (The Band) is comprised of Long Island natives (Chris Wall, David Kaplan, Brandon Dove & Dan Gluszak) who came together to pay tribute to their favourite songs from the NYC sewers which otherwise were never commercially released.